2016, hand-crushed ferrite magnets, iron oxide pigment, rare earth magnets, linen thread. Installed at Dominik Mersch Gallery. Photos by Document Photography. Mapping the Void is an landscape of tiny mountains and satellites that are suspended by thread from above, held in place by an invisible force. The installation describes invisible aspects of our universe, drawing a metaphor between magnetism and other unseen forces such as gravity and dark matter. It is a picture of stillness, a universal harmonious instant. The work is part of my exploration of the axis mundi, the line between Earth’s celestial poles, the axis upon which our planet spins. This is a universal idea crossing religious, secular and cultural contexts. It links the north and south magnetic poles. Across various belief systems it is considered a connection between celestial and earthly realms. Throughout history cultures have represented the axis mundi using symbols such as tree, ladder, church spire, obelisk, skyscraper and mountain. 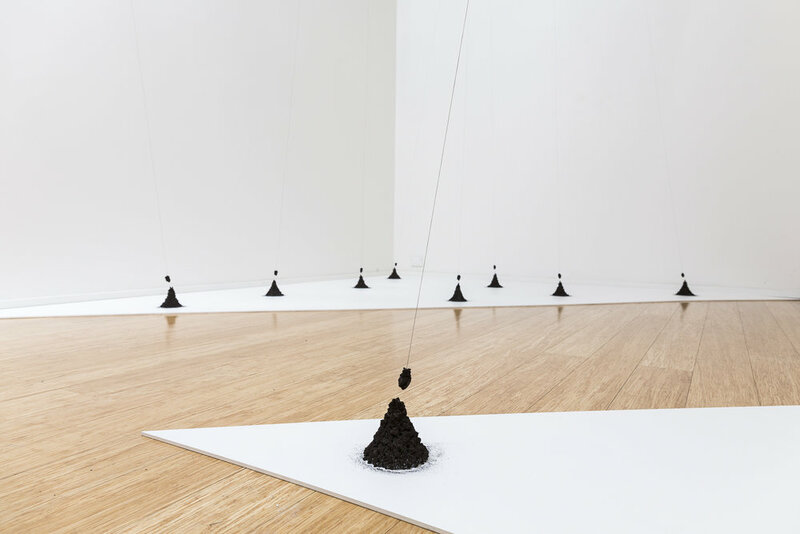 The mountains and satellites are formed from a magnetic material, which Fielden makes by smashing strong industrial ceramic magnets with a mortar and pestle. This is a transformative process, similar to traditional methods of crushing earth and stones to make pigment for painting and drawing. 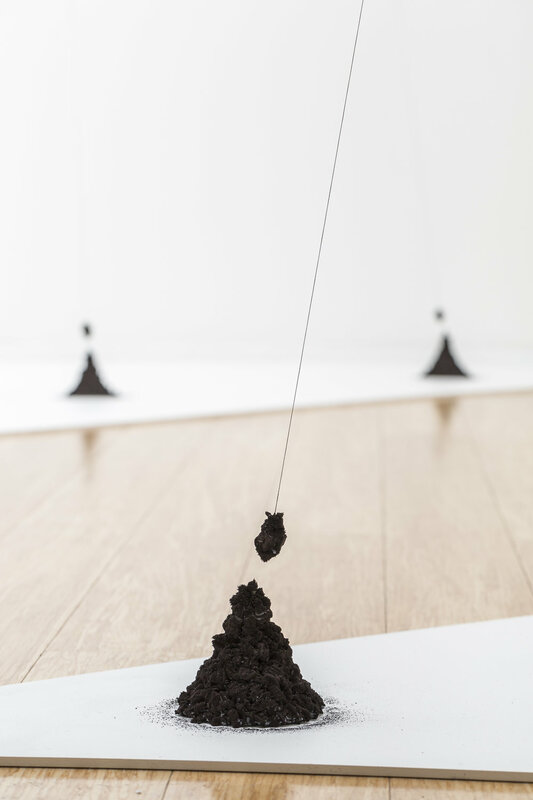 The forms are dusted with black iron oxide pigment, a ferromagnetic material that clings to their magnetic fields.